The pulsating world that is football can sometimes blur lines between what is fact and what is opinion. More than most will argue that it is a fact that Messi is the best football player on the planet and despite the statistics and highlights, at the end of the day it’s nothing but an opinion. I myself prefer Ronaldo. It’s a fact that Manchester United hold the most Premier League trophies but that doesn’t make them the most exciting or intimidating team in the league, Jose Mourinho has made sure to eradicate those elements this year. Football morphs any and everything within its orbit into a Van Gogh-like imitation of reality that we plunge ourselves into every day with a grin on our face (despite not entirely understanding it). Some things, however, transcend understanding. They go beyond opinions and facts and manifests in ways we struggle to define both internally and to others. To some it becomes God. To others, it becomes role models and idols. For everyone reading this, it manifests as Tottenham Hotspur. The blue and the white in the world is never just blue and white, it’s a reminder of our glorious club and not a day goes by that we don’t recognise this. But there are days where we can recognise this phenomenon more than any other and that is when we play at White Hart Lane. There is something extremely unique about a stadium that for over a hundred and sixteen years has been the home to millions and even after all this time, it remains quite indescribable. We all know what it is I am about to do, it has been attempted countless times in blogs, pubs and in the very building itself, I’m going to attempt to describe the magic of a stadium soon to be laid to rest. I take the phrase ‘laid to rest’ seriously because I feel it is far more an accurate phrase than ‘knocked down’ or ‘destroyed’. When thirty-odd thousand Yids come together in that stadium, we bring an energy that for the duration of the afternoon polymerises into something with breath. Something living. We bring the concept of ‘Tottenham Hotspur’ to life when we step into the hallowed ground and what other club can say they do something even remotely similar? Two of the last three previous teams to win the premier league are blessed with fans that have about as much depth as cardboard cut outs. Leicester have also won the league. West Ham said goodbye to their home with violence and about as much reverence as the good folk at the Westboro Baptist Church. Manchester United are currently struggling to come to terms with the cold truth of being a mortal club again now that they no longer have the genius that was Sir Alex Ferguson. As for Woolwich… Well, we listen to the pod and our opinions are pretty clear about them. I have been attending The Lane regularly since 2003. My first game was a 0-0 against Sporting Lisbon in the summer of 2002. The game was drab and the football was dull but the stadium was beautiful. The sun gleamed off of the golden cockerel which stood proudly across the pitch from me on top of the west stand and I was stunned into an innocent childish silence. Men, women and children sang and cheered as Jamie Redknapp lead other players, now long past, towards me. It is a memory I have held onto for nearly fifteen years and it is one that will last the however many more I have. White Hart Lane was alive that day. Our humble ground has come alive many, many times. In my short time with it I can remember so many; the 125th year anniversary against Villa, the 5-1 against Woolwich, the 2-1 against Chelsea after having gone so long without a win against them. There were also those specific moments in which we were all part of the cognisant throb; The King’s challenge against Arjen Robben, Gareth Bale signalling Maicon a Taxi (multiple times) and the emergence of Harry Kane. All moments that fans share with their ground, all just a percentage of my memory and I am yet to turn 24! 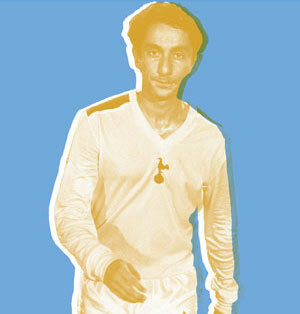 But the good times are not the only reason White Hart Lane is a place of divinity. We have seen and suffered terrible times within the white walls; our 3-4 overturn to Manchester City in the F.A. Cup is an immediate recall. Then there is the multitude of losses to bitter rivals, not to mention the revolting memory of 2004 and the exuberant Gooners. Surprise losses to lesser teams had their fair share at The Lane. The sacking of our beloved Martin Jol resonated around us while the boys were still on the pitch and that was a bitter taste I doubt any of us have forgotten. During all of these times too, White Hart Lane was alive. We suffered together, moaned together and ashamedly booed together. I’ll recount two more events; both negative in terms of what happened on the pitch but ultimately, perfect examples of why we are saying goodbye to the greatest ground in football history. First is a match against Woolwich. It’s 2010 and after a tense game that has us locked in a familiar battle that could go either way, we enter extra time at 1-1. Six minutes later and we are three one down. Samir Nasir has slotted two penalties past Stipe Pletikosa and the game is placed beyond our reach. Andrei Arshavin scored a fourth with 15 minutes of extra time still to be played and The Lane began to empty. With ten minutes remaining, White Hart Lane had only pockets of people left, disregarding the clump of Woolwich fans who despite humiliating us were offering us a poor show of chants and songs. That was when a small group, standing in the Shelf-Side began to sing. It was quiet at first, but then the unusually quiet and empty Park Lane joined in and raised the volume a little more. Then a cluster of fans, including my dad and me joined in from the Paxton end and before we knew it, we were drowning out the Gooners. 1-4 down and a smattering of people left and yet we out sang our bitter rivals with a perfect blend of pride and good humour, and as the referee blew the whistle, we cheered as if we had won the game. White Hart Lane lived once more and this time on a night that so easily could have become a night that died away into history. Finally, and most importantly, I come to the 17th March 2012. White Hart Lane, normally vibrating with the visceral roar of Tottenham fans, is silent. Fabrice Muamba, a midfielder playing for Bolton Wanderers is unconscious on the grass and receiving emergency medical attention after having suffered a heart attack. Football is no longer in the mind of any single person, and every set of eyes are trained on people who were to become heroes. Conversation was hushed and people cried. When Fabrice Muamba was stretchered into the back of the ambulance and rushed to Bethnal Green, both sets of fans chanted his name in unison. Applause rang out for those who treated him and contributed in astronomical ways to his safety and White Hart Lane lived again. This time, however, it was not football that breathed life into our spectacular home but our compassion as humans. It was our love, our fear, our desperation for the safety of another and it was our coming together as people that gave The Lane its vitality. We showed humanity at its very best that night and we showed it in the place we call home. White Hart Lane is magic. I may have pushed this point to the edge but it’s one that bears repeating. It is a culmination of over a century of unity and community that has given The Lane its unique character and very soon we will all have to come to terms with parting with it. It has been a home to all of us, and when we stand in our seats in the afternoons and the evenings, we fuse ourselves with everything that has happened over that century and a bit. We become part of that string that has attached to it; every player, goal, tackle, song and manager. Bill Nicholson, John White, Jimmy Greaves, Danny Blanchflower, Dave Mackay, Glenn Hoddle, Ozzie Ardiles, Steve Perryman, Ledley King, Harry Kane. They have all lived at White Hart Lane and so have we. We all have one name when we walk into the church that is White Hart Lane, and that name is Tottenham Hotspur. Nailed it, Tom … lump in me throat! This is my 50th year as a Spurs fan … my dad drove me around the outside of the ground as a 13 year old on my first visit (from Dublin) to London. 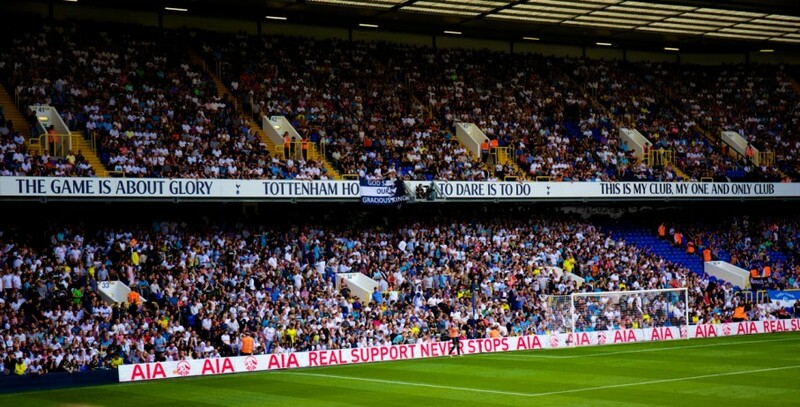 I have a season ticket now … what a club, what a place: White Hart Lane will live forever in our hearts. That’s a commitment that is becoming increasingly rare, unfortunately. As time becomes easier and easier to waste, fewer people see the attraction in coming to football regularly. Couldn’t put it better, What a place!